There are 23 inhabited islands in Argyll and Bute (Census 2011) – 19 of these are Hebridean. These are: Coll (195); Colonsay (124); Danna (1); Easdale (59); Erraid (6); Gigha (163); Gometra (2); Iona (177); Islay (3228); Jura (196); Kerrera (34); Lismore (192); Luing (195); Mull(2800); Oronsay (8); Seil (551); Shuna (3); Tiree (653); and Ulva (6). Argyll and Bute has more inhabited islands than any other Scottish Local Authority, including the three Island Councils of Eilean Siar (14), Orkney (20), and Shetland (16). Highland had 14 inhabited islands. 15,105 people just over 17% of the population of Argyll + Bute live on an island. The 19 inhabited Hebridean islands account for 8,599 or 10% of the population of the county. The population of the islands ranges from the largest Islay with 3228 people to the smallest Danna with just 1 permanent inhabitant. 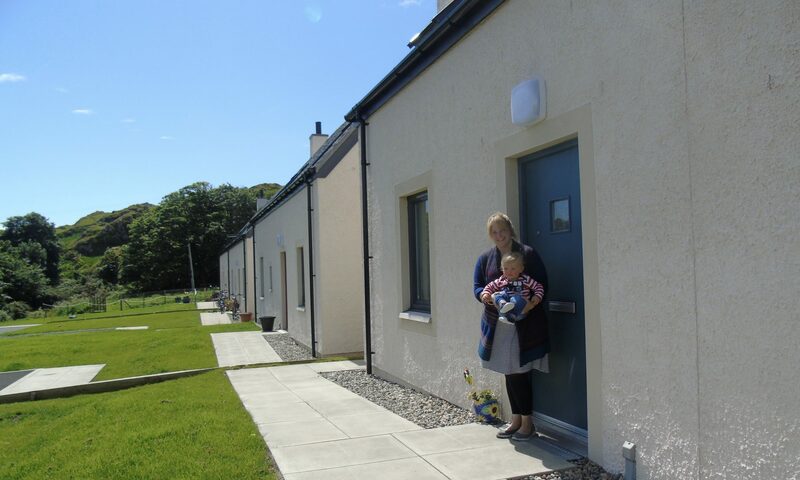 Home Argyll now operates an online application system for those wishing to apply for housing with their Argyll partners (social housing is provided on the Argyll islands by Argyll Community Housing Association (ACHA), Fyne Homes and West Highland Housing Association). Information has been sent to existing applicants however all new applicants are encouraged to apply this way. The online application can be found here. Home Argyll have also created a tool for you to help you assess your own housing options. Click here to complete a housing options assessment.